VietPress USA (Feb. 6, 2018): On Feb. 8th, 2018 will be the deadline of Democrats and Republican Lawmakers renegotiate the government budget or shutdown government over the Dreamers, Immigration and building the wall along the border between US and Mexico. Illegal immigrant deportation is most important policy of President Donald Trump. He has proposed to accept 1.8 million of Dreamers while it must cut off 50% other legal immigration. But the main thing is how to stop illegal immigrants..
DHS Chief reported that when illegal gangs come to the ports along US-Mexico border, "I have to let them in," he said! (https://www.vietpressusa.us/2018/02/when-mexican-gangs-come-to-ports-along.html). Sen. John Cornyn of Texas, one of the Republicans’ chief negotiators in the current immigration debate, said the fatal crash should be a wake-up call. The list of heinous crimes attributed to repeat illegal immigrants is long. The most notorious is the 2015 slaying of Kate Steinle by Jose Ines Garcia-Zarate, who had been deported five times before he found himself on the San Francisco waterfront with a gun in his hands. That attack spawned Kate’s Law, a bill to toughen penalties on repeat illegal immigrants. Those who are caught returning after deportation would face two years in prison, and a third attempt would be punishable by 10 years. Repeat illegal immigrants with serious criminal convictions could face up to 25 years. Kate’s Law cleared the House last year with support from two dozen Democrats, but the Senate has not taken action. Now, Rep. Bob Goodlatte, Virginia Republican and chairman of the House Judiciary Committee, is calling for Kate’s Law to be part of the immigration debate involving illegal immigrant Dreamers and border security. “While no legislation can prevent every tragic situation, Congress has a duty to take every action possible to mitigate this harm and danger,” Mr. Goodlatte said in a statement to The Times. His plan also includes the Davis-Oliver Act, which would require localities to cooperate with deportation efforts, pushing back against the growing number of sanctuaries that protect illegal immigrants. Andrew R. Arthur, resident fellow at the Center for Immigration Studies and a former immigration judge, said prison time is critical. He said prison time could also take some of the smugglers out of action because it’s easier to make cases against them for illegal re-entry. But that requires prosecutors willing to take the cases. Border authorities say they struggle to get some U.S. attorneys to pursue cases, and lawyers say the attempts aren’t worth the time. It often takes some indicator of gang or other criminal activity on someone’s record to tip the scales in favor of prosecution. 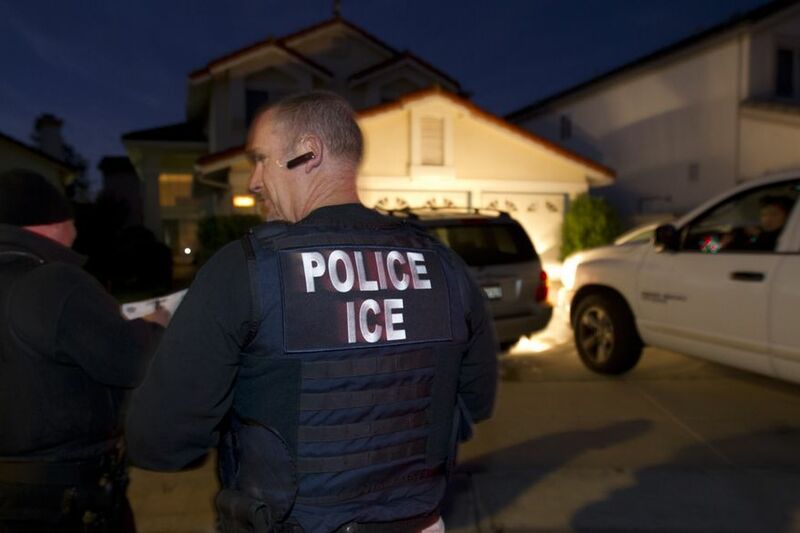 Chris Crane, president of the National ICE Council, which represents more than 7,500 U.S. Immigration and Customs Enforcement employees, said what is needed is a comprehensive enforcement strategy aimed at stopping illegal immigration that targets the reasons repeat illegal immigrants are returning — such as the availability of jobs. “We’ve got to have E-Verify, we’ve got to have the entry-exit systems. We’ve got to have a robust interior enforcement plan, and we’ve got to quit dangling the carrot and drawing people here,” he said. He said that comprehensive strategy should have been the Trump administration’s goal from the start, yet it’s still lacking a year into the term. “We’re not really doing anything differently than we’ve ever done before,” he said. “Are we making more arrests? Yeah, but we did that under the Bush administration and it didn’t slow illegal immigration down because as an agency we don’t have a vision, we don’t have a comprehensive strategy to stop illegal immigration. We just have these guys in D.C. who have us chasing meaningless arrest statistics, but they don’t have any comprehensive enforcement plan to stop it. “With the right strategy and leadership, we can stop illegal immigration, but dynamic changes are needed within ICE, and the president has to get us the enforcement elements we’re asking for in legislation,” he said. ICE provided the information about the five most deported illegal immigrants to The Times on the condition that it not name them specifically. The Border Patrol tracks the recidivism rate, which it considers to be anyone caught more than once in the same fiscal year. The rate was nearly 20 percent in 2011, but it dropped steadily to 10 percent last year. Late Tuesday, the U.S. attorney in southern Indiana announced federal immigration charges against Manuel Orrego-Zavala, the man accused in the NFL player’s death. He faces up to 10 years in prison if convicted. “The defendant in this case allegedly re-entered the country illegally for the second time before he put the public safety of Indianapolis at risk and took the lives of two innocent men early Sunday morning,” said Josh J. Minkler, the U.S. attorney. The Justice Department said Mr. Orrego-Zavala was first deported to Guatemala in 2007, returned and was deported again in 2009. He also lied to local authorities about his identity when he was first arrested this weekend. Immigrant rights advocates object to stiffer prison sentences for repeat illegal immigrants, saying the government is moving away from mandatory minimums in other areas. They also said deportees who continually come back to the U.S. are usually doing so because they have families, jobs or other prospects that they don’t want to lose. “At some level, the efforts to deter through punishment are going to be hard-pressed to deter somebody whose life is based here in the country,” one activist said. Some Democrats laid the solution for the tragedies caused by repeat illegal immigrants at Mr. Trump’s feet. “Is there anything we can do about these horrible cases? We can have a president with little empathy,” said Sen. Patty Murray, Washington Democrat. Others said the country needs better border security and stiffer penalties to stop repeat border jumpers. Sen. Joe Manchin III, West Virginia Democrat, said he didn’t know why those measures had never implemented. “I don’t know. I’m very much in support of it this time,” he said as he headed off to a meeting of the bipartisan Common Sense Caucus, which is searching for common ground on an immigration bill that can pass. Mr. Manchin said he thought his colleagues had gone beyond talk about studies of border security. Asked whether his Democratic colleagues were on board with those border security measures, Mr. Manchin said he couldn’t speak for them. “I’m a different kind of Democrat,” he said.